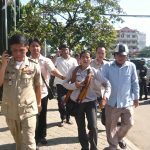 Outspoken commentator Kim Sok was this afternoon handed an 18-month prison sentence and ordered to pay Prime Minister Hun Sen $200,000 in compensation in the latest stage of what has been a theatrical trial for the provocateur. A bid to quash the charges against a 68-year-old Australian filmmaker and ruling party critic accused of jeopardizing national security was rejected on Wednesday, sending the case to trial, his lawyer said. 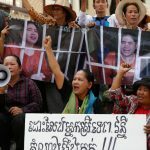 Human rights observers in Cambodia and abroad on Tuesday decried the court’s continued incarceration of leading grassroots activist Tep Vanny after the Court of Appeal upheld her 30-month prison sentence for an intentional violence charge. 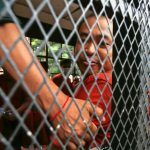 The Court of Appeal this morning upheld a sentence of more than two years laid against prominent land rights activist Tep Vanny for allegedly attacking state security guards during a demonstration in front of Prime Minister Hun Sen’s mansion in March 2013. 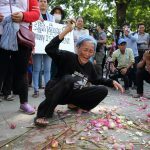 Amid one of the biggest mass evictions since the Khmer Rouge—3,000 families violently expelled from Phnom Penh’s Boeng Kak neighborhood in 2008—protracted protests turned shop owners and housewives into full-time activists. About 50 members of a Svay Rieng province community that has been caught in a land dispute with a sugarcane company for seven years delivered petitions to the Council of Ministers and Land Management Ministry on Monday seeking government intervention, community representatives said. 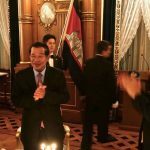 Prime Minister Hun Sen is expected to request $800 million from Japan during a visit there this week to fund the construction of an elevated rail system running from Phnom Penh’s center to the capital’s airport, an official said on Monday. 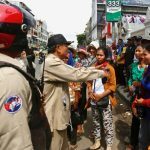 About half of some 200 Chinese nationals arrested in Poipet City for allegedly operating an internet voice call scam had been questioned on Thursday, though no ringleaders had been caught and other suspects had fled across the border to Thailand, an official said. Three Prey Veng provincial prison workers have been accused of accepting bribes and failing to supervise an inmate who allegedly extorted hundreds of dollars from a woman while behind bars, an official said on Thursday. 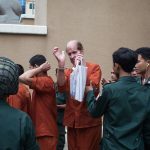 After serving two years in prison on charges of drug possession and making death threats, a defrocked activist monk was welcomed back to Phnom Penh’s Samakki Raingsey pagoda on Thursday and wrapped once again in monks’ robes. Police raided two guesthouses in Poipet City on Wednesday and arrested about 200 Chinese nationals suspected of operating an internet blackmailing scam, the biggest-ever detention of fraudsters using Voice over Internet Protocol (VoIP) technology in Cambodia, an official said. Two companies have signed a formal agreement to build a $5 billion, 522 km expressway from Phnom Penh to the Laotian border, according to a government news release, but a spokesman at the Transport Ministry said he could not confirm the report. A Phnom Penh labor recruitment agency was shut and three of its employees were arrested on Tuesday after the firm allegedly took money from would-be migrant workers and failed to set them up with jobs abroad, an official said. Opposition lawmaker Son Chhay’s request for clarity on Cambodia’s sand trade will not be forwarded to Mines and Energy Minister Suy Sem because it does not comply with National Assembly rules, a parliamentary spokesman said on Tuesday. A newly elected opposition commune chief who allowed constituents to put a donation box in his office to fund commune services has found himself under fire by ruling party peers and higher-ups. A week after his arrest, the deputy principal of a Phnom Penh international school accused of sexually abusing a 5-year-old student was charged on Friday and sent to Prey Sar prison to await trial, a court spokesman said. A new storm headed for Cambodia overnight could flood Phnom Penh and areas of the Mekong river downstream from the capital, adding to the woes of disaster planners already dealing with flooding in Stung Treng province, officials said Friday.